Casual classic summery style with a sporty touch. Classic smooth Taupe Beige with tone on tone stitching. Extreme smoothness, softness and suppleness for best comfort ever. Two lengths to fit all wrist. Choose your buckle finish for free ! Also available in tone-on-tone stitching to add a more classic style. Quick, safe and easy solution to change my strap in few seconds ! Don’t know how to change your watch strap or afraid to do it yourself? Choose our quick release spring bars option for easy and quick makeover of your watch. We will install them on your choosen LUGS strap. This Classic Taupe Beige color version is very versatile. It can equally give a touch of classyness to your sporty watch or a make your dress watch more casual. 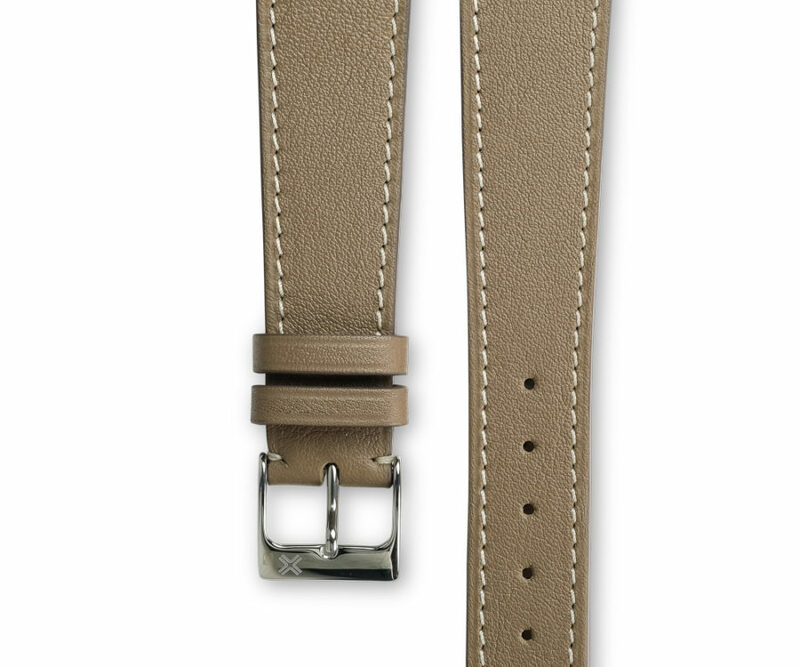 Contrasted white cream stitching color gives even more sporty personality to this great strap! It works very well on a cream or champagne color dial but can also enhance a darker dial making a greatly contrasted combo. Your strap will develop a beautiful patina over time making it even more unique to you! 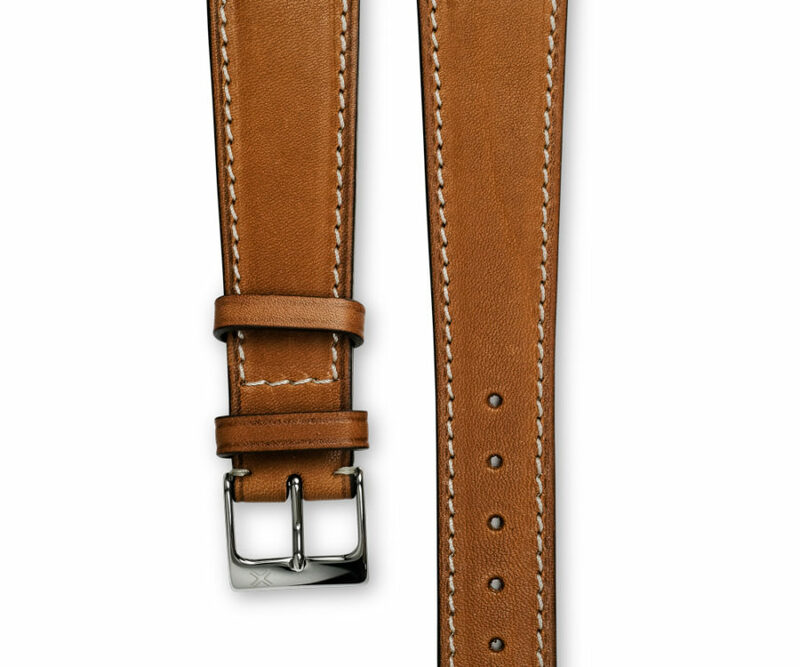 Also discover the same model of watch strap with a tone-on-tone stitching for a more classic style. Inner lining: Hypoallergenic smooth calf for optimal day to day comfort. Please note that colours can vary slightly to the one shown as each piece is unique. We are not all body building addicts, lumberjacks or Hulk’s son. 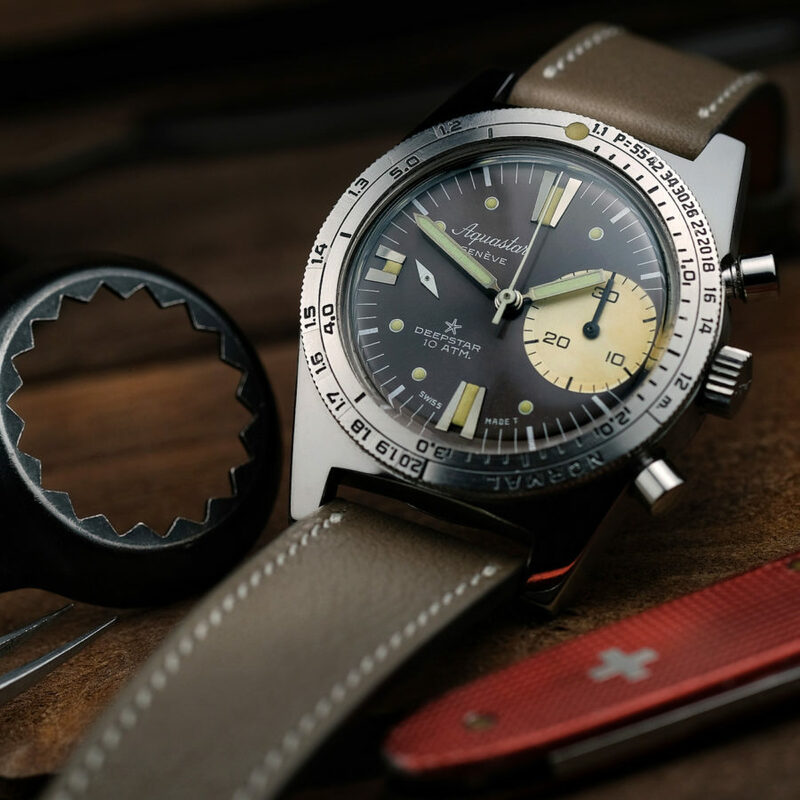 Because at LUGS we love all watch lovers, big or small, we propose two lengths to fit almost all wrist sizes. 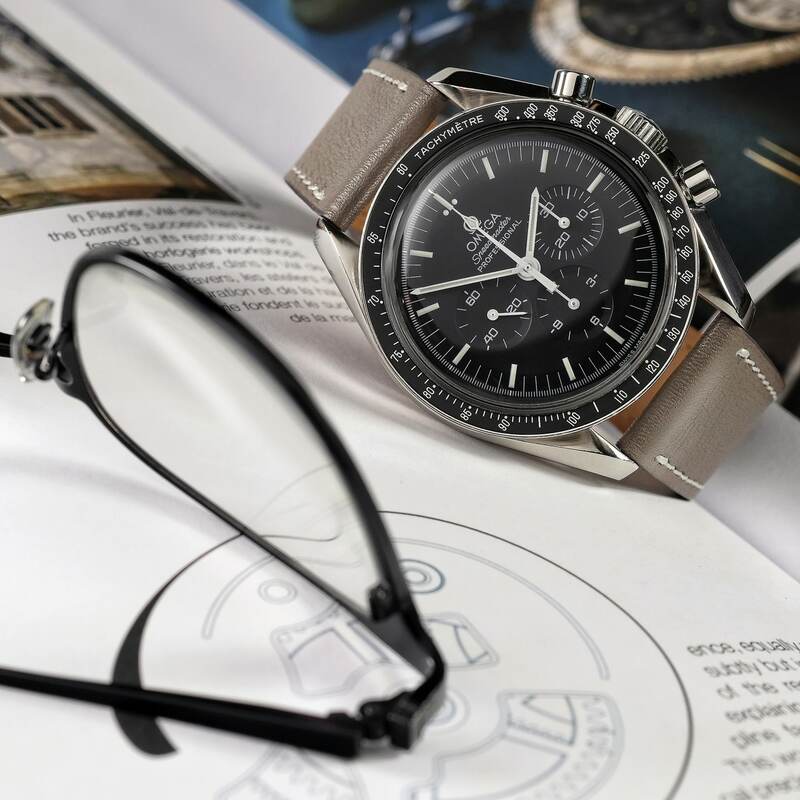 We all know, we, great watchmaking experts (at least in our neighbourhood ;), how much each detail of a watch makes all the difference, from a look and a value stand point. 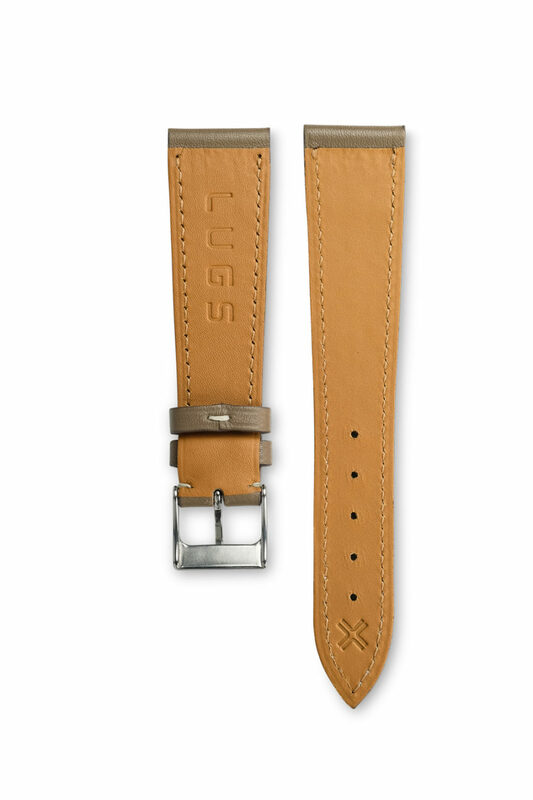 Well, so are our leather watch straps. Whether they are visible or not, each element has been refined to the very end to bring you the little “touches” that will amaze you! Find out more about the details that make the difference. Not sure how to replace your watch strap? Take a look at our video tutorial. You’ll feel so much more confident after that!